Dealing with bees is NOT a do-it-yourself project! When the bees decide to make your home their home, we’re only a phone call away. Whether it’s a swarm, (cluster) or an actual beehive we can safely remove from your home or property. In many cases we can capture and relocate the hive thereby preserving the bee colony as an important part of our planet’s ecosystem. Dealing with bees is NOT a do-it-yourself project, Africanized “killer bees” are well established in the Valley and are much more aggressive than typical American honey bees. 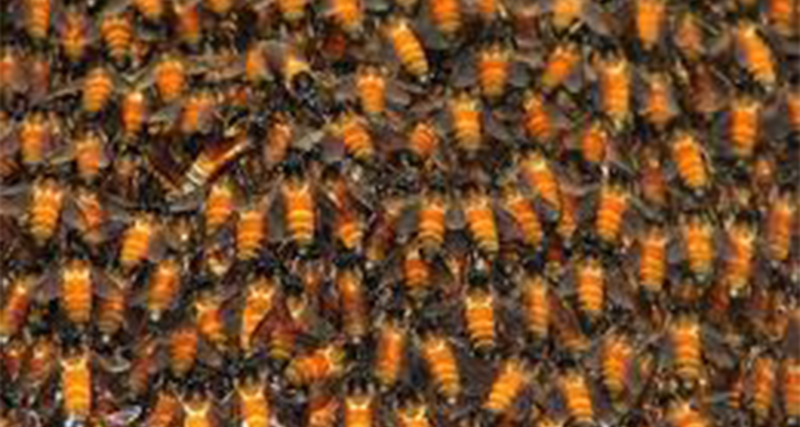 Africanized bees can react quickly to any disturbance near their hive; loud noises, shiny objects, fragrances, even dark clothes are perceived as threats. For your safety, keep family and pets away from the bees and call 911 – that’s 911 Pest Defense.